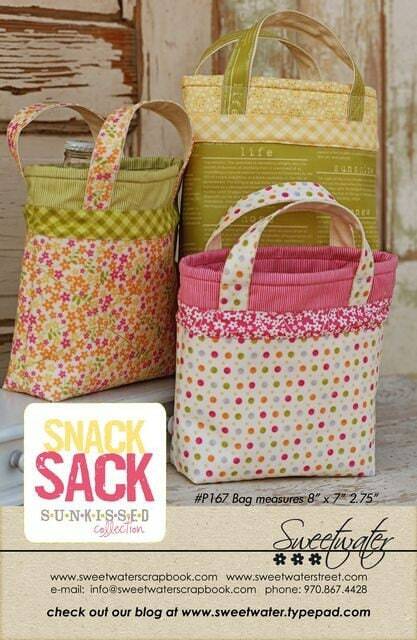 Pattern to create Snack sack measuring 8" x 7" x 2 3/4". Just what I was looking for! Easily understood pattern as well. As well as a snack sack, this can be made into gift bags for Christmas and/or Christmas. Very versatile pattern. Excellent service from Sweetwater and Etsy. Cut pattern, easy to sew up.